Columbine by Dave Cullen. Twelve Publishing. 2009. Copy from library. On April 20, 1999, Eric Harris and Dylan Klebold, high school seniors, entered Columbine High School. They killed twelve students and one teacher, and then committed suicide. Dave Cullen has covered the story since day one. Columbine is about what happened on April 20th; what led up to it; and what followed. In particular, it firmly ends many of the myths surrounding Columbine. Interestingly, the truth has been out there; Cullen wrote The Depressive and the Psychopath, published in Slate, in April 2004. Yet ask most people, and they won't say this was the case of a psychopath but rather the result of bullying and jocks and revenge and disappointments. Why? Because it's easier to think that what happened was fixable -- "Let's not bully!" "We can stop bad things from ever happening by just being nice!" rather than admitting that at sixteen -- the age Harris, then a sophomore, first began planning his attack -- a teenager was a psychopath. Rather than addressing how we recognize and treat depression in teenagers. Rather than trying to know when a dark twisted story for creative writing is a sign of a future Stephen King or the warning (or boasting) of future killer. It's easier to think Harris and Klebold snapped because of one incident, one loss, one act than to consider that as early as April 1998, police were aware of death threats, pipe bombs, and hate-filled websites to the point where a warrant was drafted for Eric Harris's house. "Outcast" is a comforting label to use, because we can see those outcasts and tell ourselves, "not OUR kids." When the truth is, the two teenagers had jobs, friends, dated -- Klebold went to his prom the weekend before the attack -- and were intellectually gifted. Klebold was part of the "Challenging High Intellectual Potential Students" program in elementary school. Harris's teachers were consistently impressed with his knowledge and intelligence. 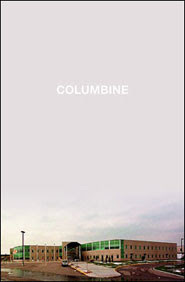 Columbine is not an easy read; and it's a book that cannot be put down. Cullen starts with weekend of the school shooting, then both backtracks to bring us fully into the heads of Harris and Klebold and goes forward, relating what happens during the attack and the years afterward. We uncover, slowly, what happened and why the teenagers planned what they did as well as see what actually happened and the aftermath, including how the media, investigators, parents and survivors reacted. Both Harris and Klebold left a stunning amount of information about what they were thinking and planning, in journals, websites, diaries, diagrams, and school assignments. Cullen is especially effective when contrasting the face Harris presents to adults (counselors, lawyers, teachers) as having "learned his lesson" and saying all they want to hear with his private journals that spill over with hatred and contempt and amusement in having fooled yet another person. These teenagers had plenty of people who listened to them. Who wanted to help. Yet not many were in touch with one another to compare information to realize the full picture of what was happening; and Harris was a gifted liar. This book does not glorify Harris and Klebold. Cullen shares minute by minute, second by second, their actions at the beginning of the book, with the first two students killed and the mayhem starting. But he does not continue the intimate timeline of what went on in the school until the end of the book -- when we have a better realization of what Harris and Klebold intended (blowing up the school to kill all inside, regardless of jock, friend, preppy, Goth) versus what happened (the bombs did not work). Then, the end -- and while some moments in the library are shared, including what happened to some individuals as well as refuting the Cassie Bernall myth, Cullen thankfully does not share a second-by-second account of the slaughter in the library. Cullen keeps this book factual, without ever being voyeuristic. It is not a "true crime" book. There are no photographs of Harris or Klebold or their victims; no crime scenes; no diagrams of the school. We do not see photos of the guns they used or illustrations showing where the bodies fell. Columbine does something else; it reminds us why we need good professional investigative reporters. This book reflects a tremendous amount of time, effort, work, dedication, talent, professionalism and caring. Newspapers, magazines and journals must find some way to survive their current crisis so that people like Cullen can continue doing their job. What does the reality versus the myth mean? Especially for readers and reviewers of books where the myth of the bullied shooter crops up again and again? As I said above, I personally think bullying gives us the answer we want. We can use it to stop bullying (if you're mean, you could turn that kid into a killer); we give ourselves the illusion of control (I'll be nice to that loner and that will change his life); and it allows us to be "anti" the popular kid (we always knew those popular jock cheerleader preppies weren't as nice as they pretended). All which play out in books and novels and film. I read Hate List by Jennifer Brown before reading Columbine; but I had read Cullen's articles on the shooting and reviews of the book. As I say in a review planned for later this summer, Brown does not go the "blame the bullying" route (though bullying takes place). Instead, she backs away from labelling that shooter at all; and the main character in Hate List reminded me of the numerous friends of Harris and Klebold who, while aware of their fondness for guns or a hobby of making pipe bombs, had no idea they were planning a massacre. Great review, Liz. There are so many important truths in this book that I hope it reaches as many people as possible, especially teens and their parents. I still can't stop thinking about it. I feel the need to read the book, because from what I've read about it, it's an important book. Your review confirms that. It does make me question what to do with the book I have about Cassie Bernall (She Said Yes). Right now it's shelved in the biography section and is one of my most popular books. Should it stay there? Where would I move it? These questions always drive me crazy as a librarian. I'd keep it; and if conversation comes up, can discuss how confused things were during the shooting and that current reports say that the "yes" exchange didn't happen with Cassie, but another girl. Chances are, if the reader is reading about Columbine, they'll find more and find that out. Kind of an aside, but how perfect is that cover and all that empty sky? It could represent the lives lost, the emotional blank of a psychopath, or maybe just the lack of clear answers for the tragedy. Thanks for the review. I've always believed there was more to it that bullying, but never taken the time to read about it. I think I'll add this one to my library list. Thanks for this review. I've read a lot of praise for this book but not in this detail. I definitely need to pick up this book. I would have passed this by for sure, not wanting another sensationalized account, but after reading your review I'm actually tempted to read it at some point. It sounds like Cullen did a wonderful job with a tough subject. Elizabeth, Thanks so much for the nice words on my book. You put a lot of thought into the review, and I appreciate that. You captured the book very well--or at least what I was trying to do. Thanks. Does that sound like someone who was confident and socially successful? Cullen perpetuates the long-standing myth that Dylan was a sad little emo follower who was totally led by Harris. The truth is that Dylan was the one who wrote about going on a killing spree before Eric; he even wanted to do it with someone else. He wrote “*my* killing spree”, not “*our* killing spree”. Those who have seen the basement tapes have said that, on them, Dylan appears far more eager and enthusiastic than Eric. On the tapes, Eric apologizes to his family; Dylan does not. On one tape, Eric is seen alone, tearing up when he thinks about his friends back in Michigan. He even turns the tape off so he will not be captured crying on camera. If he truly was a pure psychopath, as Cullen claims, is it likely that he would have cried while thinking about old friends? There is also piece after piece of evidence asbout E &D being picked on and ostracized on a wide scale. Something Cullen denies ever happened. Whats my truth about this event? My truth is that E &D were bullied and tried as inhuman long enough until they decided that life was no longer worth living and decided to get revenge on a school and community that delighted in degrading them. I’ve been in their shoes. I know what that feels like. Unless you’ve been treated that badly long enough by enough people, you do not.